The White House's trade policy puts the Republicans' chances in question The US president plans to allocate two or even three days each week in September-October 2018 to participate in election campaigns against the backdrop of Congressional elections that will take place in November. Publication of The Washington Post reports that this practice is customary for US presidents during this period. One of the main themes of Donald Trump's speeches should be trade-related issues. However, part of the advisers of the American president believes that it is better not to raise these questions. The reason for this is that current congressmen and contenders in Congress are complaining about the negative consequences of US customs duties and the steps taken by other countries that have been responded. We are talking about the impact on the sale of corn, soybeans and whiskey. In addition, Donald Trump advisers believe that a significant damage to the Republican Party caused a scandal with a policy of zero tolerance for migrant families that took place in June 2018. However, some representatives of the Donald Trump administration, like Kelen Conway, believe that the controversy on migration and trade will not negatively affect the chances of the Republican Party in the elections to Congress in November 2018. 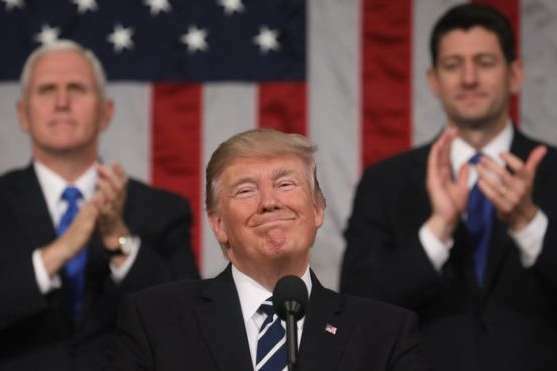 The US president himself plans next week to visit Illinois and Iowa in order to talk about the state of the economy and visit the steel production plant in the framework of the election campaign.